The blurb: A mysterious metamorphosis has taken hold of Ida MacLaird – she is slowly turning into glass. Fragile and determined to find a cure, she returns to the strage, enchanted island where she believes the transformation began, in search of reclusive Henry Fuwa, the one man who might just be able to help. Instead she meets Midas Crook, and another transformation begins: as Midas helps Ida come to terms with her condition, they fall in love. What they need most is time – and time is slipping away fast. This is a really beautifully written book, and I can’t put enough emphasis on that. 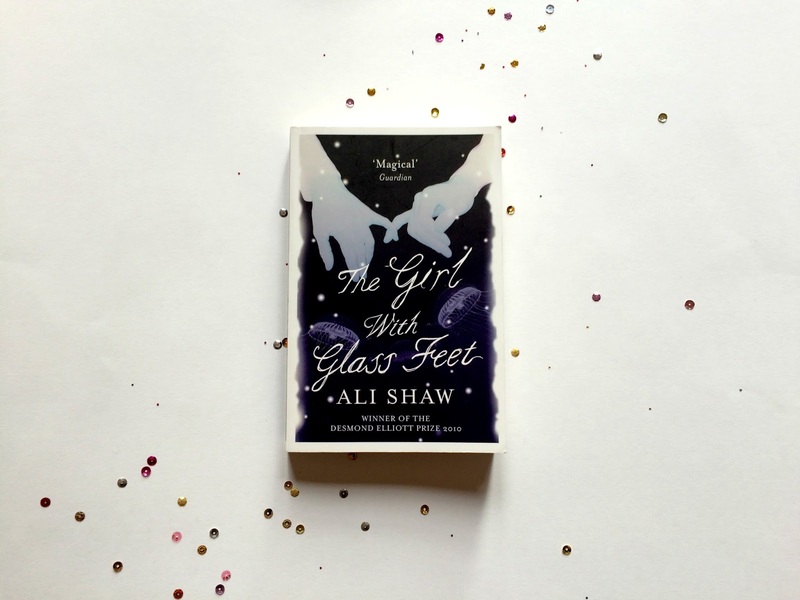 Ali Shaw has a wonderful way with words and the best way I can think to describe her writing is that it’s almost dream like. This is one of those books where the description seems to literally flow and conjures up such vivid images. The concept of a girl who is slowly turning into glass really appealed to me and the whole story has this kind of hazy, mysterious feel to it which I really liked. The love story between Ida and Midas is lovely to read and I was really rooting for them. They are your typical ‘opposites attract’ couple; Midas is shy and quiet and hides behind his camera a lot and Ida is up front and brutally honest. It sounds cliché but I don’t think it made their story any less believable. Unfortunately, I often felt like they were the only characters I was really interested in reading about, and I think that’s because as the story went on the majority of the other characters turned out to be inconsequential to what was happening to Ida. A lot of time is spent looking into the past of other characters which didn’t seem necessary given that they had little or no connection to Ida and her relationship with Midas in the end. The only exception to this I think is Midas’ father, as this helped the reader to understand a bit more about him and his mannerisms. However, I think the story would have held my attention just fine had it just concentrated on Midas and Ida’s meeting and trying to find a cure without the input from the other characters. I was disappointed that the reader never actually finds out exactly why Ida is turning into glass and why she has developed this condition, apart from it being hinted that she may once have come across a creature who turns things white upon eye contact. This is never explored further than this and it’s not clear what this creature is or whether or not it actually exists. There are also mentions of other mysterious creatures inhabiting the island, such as Henry Fuwa’s ‘moth-winged cattle’ which I felt led to believe held some clue but turned out to be nothing more than strange pets. It often felt like these things were just mentioned to make more of the point that the island was supposed to be enchanted and not really explained properly. Overall, a very sad and beautifully written love story, unfortunately let down by some of the more irrelevant plot distractions and characters. 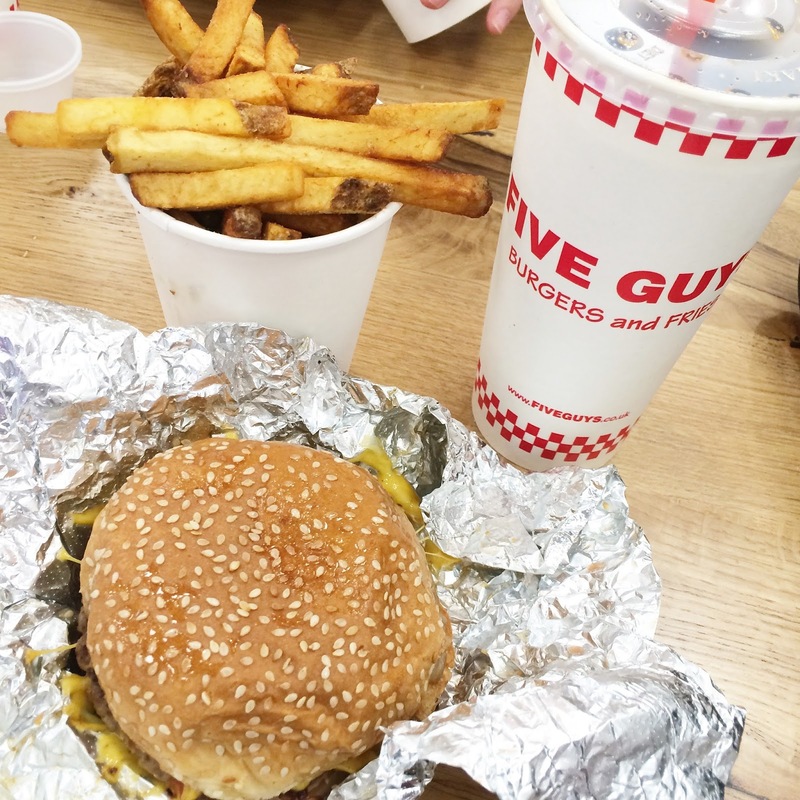 Yesterday we decided to try out the new Five Guys restaurant in Leeds. I've never been before but I'm now fully converted! I opted for a cheeseburger with fried onions and I think it might be the best burger I've ever eaten. I learnt from their website that there are no freezers on any Five Guys premises and they use fresh meat every day, which must be what contributes to the amazing taste. Burger heaven. It is quite pricey but definitely worth it, and all the burgers come in 'little' size too which is a cheaper option. Plus, the whole range of toppings is free and you can add as many as you want. This week has been quite a good one all round! 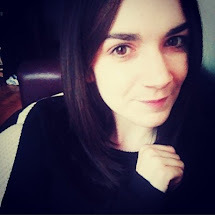 I've managed to find lots of time for reading, scheduled 6 whole blog posts, had a really positive one-to-one meeting with my supervisor at work, and went to see The Imitation Game with my mum and sister. I'm a massive history nerd so I love anything like that, and it was really interesting to learn about Alan Turing and his work breaking the Enigma code during WW2. I recommend it! I've also started a monthly membership with a local leisure centre to use the pool. It's costing me £17 a month to go as often as I like, and I'm hoping to go around 2-3 times a week. Good value, and I love swimming so I think I'll get a lot out of it! One of my goals for this year is to keep to an exercise routine alongside trying to eat healthier. In the past I've put a lot of pressure on myself to eat only certain things, restricted myself too much and ended up making myself pretty miserable, so this year I've decided to just try and make sensible choices about food during the week and not beat myself up about it at weekends. I'm hoping that doing this along with swimming regularly will help me to finally see some change in how I feel about myself. Hope you've all had a good week! Until next time, I'll leave you with this article about the best, worst, and weirdest life lessons to be learned from Disney movies... Just one of the things I read on the web this week! December is a great time of year for me because I have my birthday and Christmas all within two days of each other. 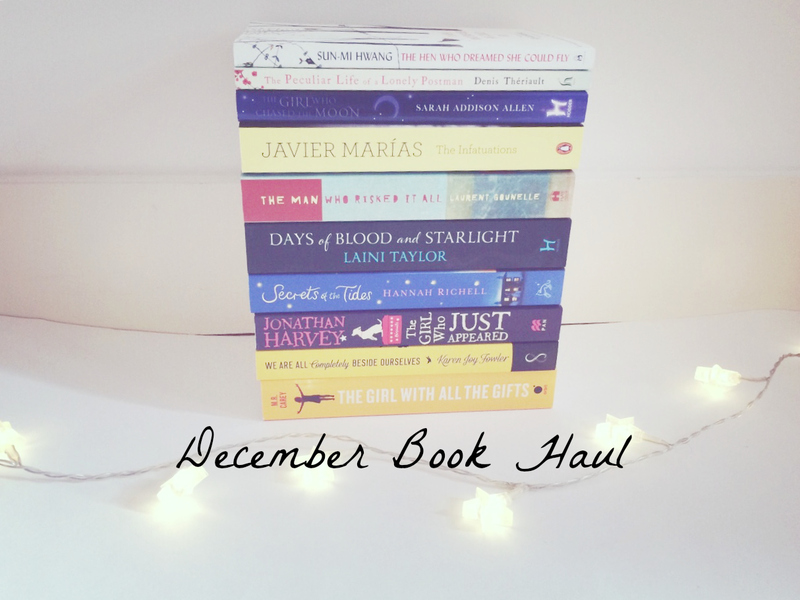 This year, I was a very happy bookworm because I got a grand total of ten new books! I'm so excited to read them all!